PugGaming - Gaming Never Done Alone » News » Gaming News » (Moderator: psychockey)Indie Royal - The New Years Bundle! Well another bundle has been released! It was available for pre-order but I didn't have this post made before pre-order (also, I am not sure when pre-order started, because when I last checked there was no option for it..!). If you had preordered you also were able to pick up George & Jonathan's "Beautiful Lifestyle," * which is now only available to anyone who pays up to a "star" level and drop the price. Here is a brief reminder of "How it works!" *They really seem to like chip tune music for these bundles! As more people buy, the price goes up - so get in early! Knock the price down for others & show your support by paying more than the current price. Download your games directly or redeem on Steam and/or Desura! **Currently the only way to get this game on pc/mac! At the time of writing this, the average is 3.97! I can't say much about this bundle, as I've only played a bit of Max and the Magic Marker, and that was a while ago.. Anyway, four games at a low price, can hardly go wrong with this bundle! Unless none of them peak your interest... pick the bundle up here! 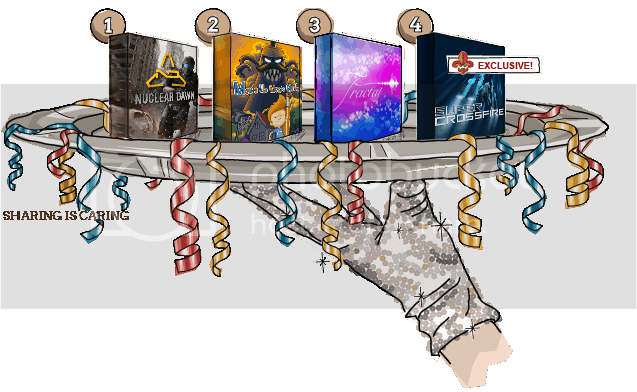 Re: Indie Royal - The New Years Bundle! Glad to finally see some multiplayer games being included!